Northern Ireland teenager Tom McKibbin is doing even better than compatriot Rory McIlroy did in his early teens - and that is some achievement! 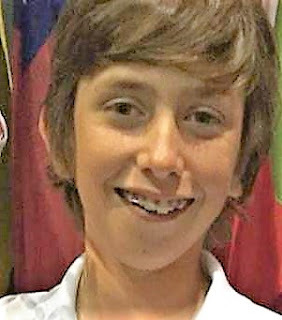 McKibbin, pictured, scored his latest victory - his third noteworthy success in the United States - when he triumphed by one stroke from an international junior field in the Major Champions Invitational at Bella Collina Golf Club, Monteverde, Florida in a 54-hole tournament from March 12 to 14. Tom, from Newtonabbey, won the Under-12 world junior boys title at Pinehurst, North Carolina in August 2015. He was 14 when he won again in the United States, leading the way home in his age category at the Junior Honda Classic at Palm Beach Gardens, Florida. And he won the Irish Junior Open Under-12 title a couple of years ago. McIlroy knows all about his fellow Ulsterman and has played and practised with him. McKibbin had a hole in one at the 16th in the second round of his win in Florida last week. That was to prove a decisive stroke because he finished one shot ahead of the star-studded field with a 12-under-par total of 204, having put together brilliant rounds of 68, 67 and 69. Runner-up on 205 was American Julian Perico Ibaicena with scores of 64, 71 and 70. Two more top American prospects, Ben Wong and Akshay Bhatia, finished joint third on 206, Wong with scores of 69, 66 and 761, Bhatia 66, 68 and 72. The tournament was open to girls as well as boys. The leading European after McKibbin was Sweden's Linn Grant, whose grandfather James Grant hailed from the Inverness area and won the Scottish boys championship in the late 1950s. James Grant went to Sweden when he turned pro .... hence his granddaughter's nationality. Scottish men's champion last year, Stonehaven's Sam Locke finished 13th on 213 with scores of 71, 73 and 69. English "wonder girl" Lily May Humphreys, who might make it into the GB and I Curtis Cup team for the June defence of the trophy at Quaker Ridge GC, New York State. She scored 75, 70 and 69 for a two-under trotal of 214 and joint 14th place. Stirling University student Chloe Goadby from St Andrews finished T17 with scores of 72, 74 and 69 for one-under 215. There was a field of 81 golfers, all of whom had won titles of some description to get into the Major Champions Invitational tournament.